My post yesterday got me thinking of other rodent wars I’ve soldiered through. Jakarta, 1980. My husband and I lived in houses rented for us by his employer. Although there were just the two of us, these houses were enormous, with a minimum of four locals who lived in as our staff. The city was a polyglot kaleidoscope of cultures clashing and melding. We were well acquainted with the other Americans living there; they either worked, as we did, for the oil industry or were government employees at the Embassy. Our circle of friends extended to people from all over the world in a city where elaborate compounds of various nationalities of ex-patriots sat surrounded by villages, called Kampong, of desperately poor local families. The city grew up around a series of canals left by the Dutch on a humid plain surrounded by majestic mountain tea plantations. The canals served as the city water and sewer system. Needless to say, one did not drink the water. Our houses had dug wells but that didn’t mean the water was potable and amid our luxurious gardens and high fences, open gutters took the rain and waste water to the sewer system on the streets. These eventually fed into the canals which emptied into the harbor.The Kampongs hugged the sides of the canals and it was not unusual to see someone brushing their teeth in the tepid water, just downstream from another person defecating in the canal. She had the houseboy set two crude, wire traps well baited with chicken. One rat was killed immediately, but left in its cage. The other was deprived water and food. After several days, the live rat was ravenous and dehydrated. They placed the dead rat in the live rat’s cage. It ate with a frenzy and they released it. Lamina recounted the story, as watching it unfold was not an option. She told me the rat was gone and tell its cautionary tale to warn away all the others. Though it all sounded bizarre and far-fetched, the only sound that night was the breeze through the fruit trees in the garden. 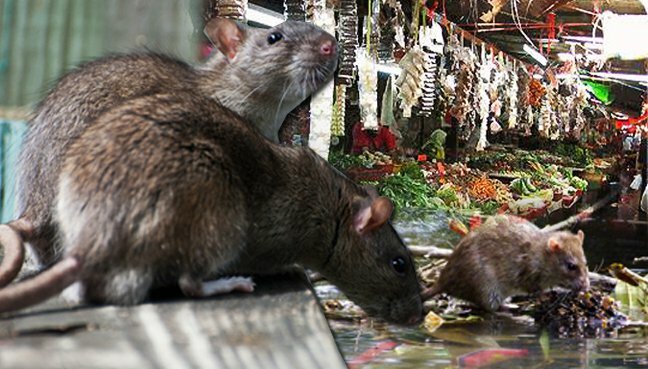 Though they still ruled the streets, I never saw or heard another rat in our house in Jakarta. This entry was posted in memoir. Tagged blogging, Creative blogging, Indonesia, Jakarta 1980, memoir, mischief of rats, pests, rodents. Rats are disguisting! We have a war on them now due to our neighbors free range chickens! Joe just got his 6th one yesterday! The are not in the house yet but trying to get in through the foundation! I guess mice are better but not much! Thanks for dropping by with a comment, Annie!! Interesting the rats sought other accommodations. I didn’t know they were against cannibalism. I didn’t question the methods once I saw how well it worked!! In Guyana they used to run round the house walls under the raised roof. We were lucky that we had a very good ratter in a cat that adopted us. So after a couple of times that the cat placed the killed ones on our outside table, very neatly, in line, 4 each time, we didn’t get any more…they moved to the houses either side and the cat took absolutely no notice of them in spite of all the neighbours did to entice it over!. One mouse made a nest in my brand new wedding present towels…. Too funny about the “hamster wheel” exercise on your suitcase! So glad I don’t have rats here, Cheryl. Thanks for sharing!! I can do spiders, snakes, even mice, but I can’t do rats. I saw some as big as cats when I was a boy and they’ve bothered me ever since. Agreed Allen. Never warmed to those cute rat movies Hollywood produced. that rat eating rat must have been some odoriferous experiment. mischief of rats nice. Thanks Wilson. Odd that a “herd” of rats is called a mischief! How horrible. I hate rats. We see them in the city streets here, dashing off into the undergrowth. Modern life in the city suits rats just fine. Lots of discarded takeaway food and plenty of nice parks to hide in. Luckily, we don’t have them in the suburbs, at least not that I’ve seen. When I lived in Boston we saw lots of rats. Not so much here in the country, Marie. Love the local methods of how to deal with pests. Regarding rats … I really sort of like them … actually, I like them a lot. Perhaps not when they are roaming at will, though.